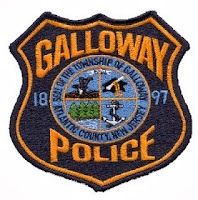 On August 8, 2016 at 1:36 p.m. Galloway Township Police Department responded to a serious motor vehicle accident involving four vehicles at the intersection of Route 30 (White Horse Pike) and Pomona Road. According to Police a 2006 Ford driven by Shawn Mcintosh, of Hammonton, NJ, was traveling west on US 30 when it disregarded the red signal for Pomona Road. The Ford then struck a 2014 Honda CRV driven by Ashley Bartholomew of Millville NJ, and a 2016 Explorer driven by Heather Archut of Philadelphia PA, as they started into traffic on a green signal traveling south on Pomona Road. The Ford then crossed the center line and traveled west into the eastbound lanes of US 30. A trailer that it was towing flipped over and struck a 2004 Ford Explorer Sportrac driven by Jamie Grim of Mays Landing while it was stopped at the signal for eastbound traffic. Bartholomew and passenger, Melissa Peck were trapped inside the Honda CRV. They had to be extricated by Pomona Fire Company. Following extrication they were transported to ARMC – Mainland Division for moderate injuries. The remaining involved were evaluated on scene for injuries or complaints of pain with the exception of Grim who was uninjured. Both lanes were shut down for approximately 2 hours while the scene was investigated and vehicles/debris removed. Mcintosh was issued a summons for disregard of a traffic control device. Ofc. Steve Garrison of GTPD Traffic Unit is investigating. GT Ambulance Squad, Atlanticare Paramedics and EMS, Stockton University Police, Pomona Fire Company and Done Right Towing were assisting agencies in the accident.